The second of 2017’s four batches of Booker’s bourbon has been released. Last year saw owner Beam Suntory announce a price hike (now $70 – $75) and a reduction in the number of batches of the cask-strength bourbon released each year. The new batch, “Blue Knights Batch,” is named after the Blue Knights, an organization of retired and active law enforcement officers who love motorcycles. What does that have to do with Booker Noe? Well, as you guessed – there’s always a story involving Booker. Many years ago he was invited to take part in a Blue Knights rally near the distillery. Ever the friendly soul, Booker ended up invited about 300 members to his house for a BBQ lunch the next day. Booker’s son and current Jim Beam Master Distiller Fred Noe said, “You can imagine Mom’s face when he told her at breakfast the next day. But, that was Dad – larger-than-life and always making new friends.” The entire local chapter of the organization showed up for lunch, and it became an annual tradition for years. Booker was even named an honorary member. This batch of Booker’s comes in at 63.7%, or 127.4 proof. The youngest whiskey in the batch is 6 years, 3 months, and 6 days old. Barrels were pulled from four different warehouses. Noe says a few barrels were more than nine years old. Blue Knights Batch is as robust as you’d expect, with hints of charred sweet corn, vanilla bean, cinnamon-spiced caramel and oak on the nose. The palate comes across as rich, but has moments of vibrancy. Big notes of vanilla pudding, sweet buttered corn bread, slight nuttiness, and maple syrup give us the rich side, as a touch of citrus and wood spice add some sparkle. The backend has some bitterness, courtesy of charred oak. 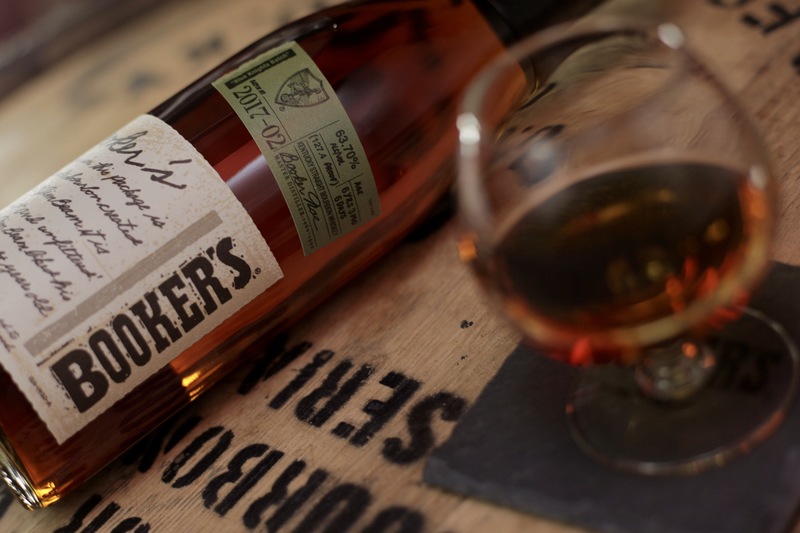 The long, warm finish is what fans of Booker’s have come to expect. There are a few lingering notes of orange peel, vanilla and oak tannins.